Intelligent and very hard working. Enjoy dog sports such as carting, sledding, agility, tracking, rally and competitive obedience; good companions for cross-country skiing. 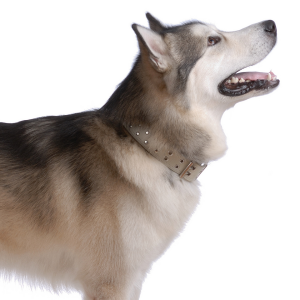 Reputation as a good family dog, but should be closely supervised around children to avoid accidental injury. 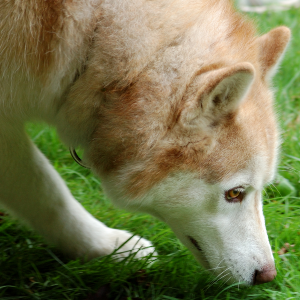 Respond to motivational tools such as treats and favorite toys in reward-based obedience training which may be useful in reducing stubbornness. 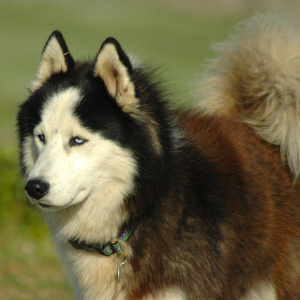 Intelligent, hard-working, active, and usually friendly dogs; can be stubborn. 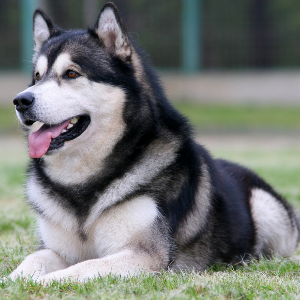 Intelligent and very hard working, Alaskan Malamutes have made delightful companions since 1,000 BC – when the Malamute tribe first bred them in their native Alaska. 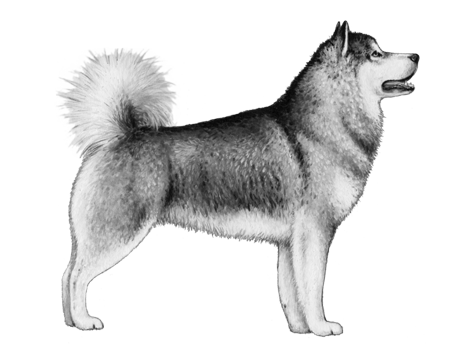 Between 1909 and 1918, they were bred with other Arctic dogs to make them more resilient to the Arctic weather. 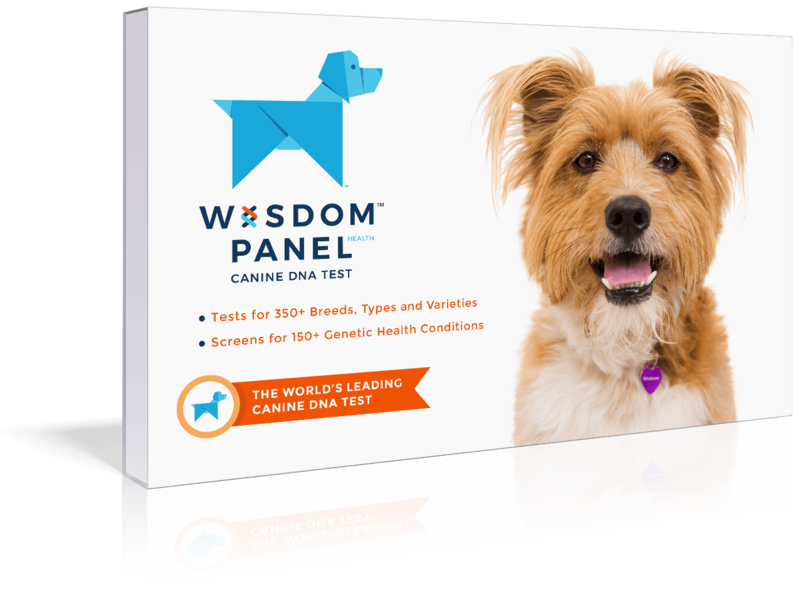 Today you’re just as likely to find them in cozy, loving homes, where they can be the perfect family dog if properly supervised. 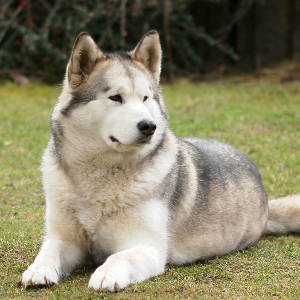 Some believe Alaskan Malamutes are the oldest dog in North America. Whether that’s true or not, there’s one thing we do know. For a breed that’s been pulling sleds for thousand of years, they certainly don’t have to work hard for our affections.